The large scale implementation of the Indian government’s Revised National TB Control Program (RNTCP) (sometimes known as RNTCP 1) was started in 1997. 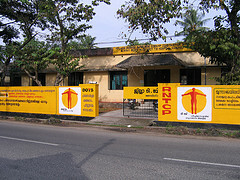 The RNTCP was then expanded across India until the entire nation was covered by the RNTCP in March 2006. At this time the RNTCP also became known as RNTCP II. RNTCP II was designed to consolidate the gains achieved in RNTCP I, and to initiate services to address TB/HIV, MDR-TB and to extend RNTCP to the private sector. RNTCP uses the World Health Organisation (WHO) recommended Directly Observed Treatment Short Course (DOTS) strategy and reaches over a billion people in 632 districts/reporting units. The RNTCP is responsible for carrying out the Government of India five year TB National Strategic Plans. There is more information about the current provision of TB treatment in India and the Testing & diagnosis of TB in India. There have been a number of five year National Strategic Plans (NSP)s since the start of the RNTCP. The NSP 2012 - 2017 had the aim of achieving universal access to quality diagnosis and treatment. Before this there was little treatment available through the RNTCP for the treatment of drug resistant TB. Complete geographical coverage for diagnostic and treatment services for multi-drug resistant TB was achieved in 2013. A total of 93,000 people with MDR TB were diagnosed and had been given treatment for drug resistant TB by 2015. Also, the National AIDS Control Organisation (NACO) had collaborated with the RNTCP and had made HIV-TB collaboration effective. Most TB patients registered by the RNTCP were receiving HIV screening and 90% of HIV positive TB patients were receiving antiretroviral treatment. A government order in May 2012 made it compulsory for health care providers to notify every TB case diagnosed. This was done with the aim of improving the collection of patient care information. It meant that in future all private doctors, caregivers and clinics treating a TB patient had to report every case of TB to the government. There was also concern about whether when people are referred to the RNTCP from the private sector there would be a good enough service, and whether in practice TB treatment would be available. In June 2012 the GoI prohibited the import and sale of serodiagnostic tests for TB. It is now believed that this has saved countless people from having inaccurate results. The Central TB Division developed a case based and web based system called “Nikshay”. This helped with the reporting of all TB cases. It was scaled up nationally. The Standards for TB Care in India was also developed and it was published in 2014. The Standards describe what should be done, and the TB treatment and care that should be provided throughout India, including what should be provided in the private sector. 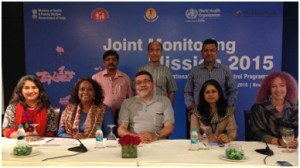 Meanwhile the Joint TB Monitoring mission (JMM) of the RNTCP had brought together a number of national and international experts and organisations in 2014. They were to generally review the progress, challenges, plans and efforts of the RNTCP to control TB. The implementation of the NSP 2012 - 2017 was one of the areas looked at. A significant increase in government funding for TB control. RNTCP will need 1500 crores/year to achieve the targets of the NSP and achieve the goals of the END TB strategy. All patients should receive care based on the “Standards for TB Care in India”. The Ministry of Health should ensure that private sector TB patients receive early TB detection, appropriate treatment, sustained adherence support and a reduction of their out of pocket expenses. There is a need for a high level sustained national campaign on TB: “TB Free India/TB Mukt Bharat”. There had continued to be concern about the standard of care provided in the private sector. Delays in diagnosis, the use of multiple non standard regimens for inappropriate lengths of time, the lack of a way to ensure the full course of treatment was being taken, and the recording of treatment outcomes were just some of the issues. So in 2016 the RNTCP published revised technical and operational guidance. The new guidelines, the RNTCP Technical and Operational Guidelines for Tuberculosis Control in India 2016, did not replace the previous guidance (the Standards of TB Care in India), but they provide updated recommendations. They also make it absolutely clear that the guidance applies to the private sector as well as the public sector. The strategic vision of the RNTCP is to lay down guidelines and norms for TB care in the country. So the principle of the RNTCP is that they should extend public services to privately managed patients. Instead of the requirement being that patients receiving care from a private provider should be referred to the RNTCP. Now the aim was that the patient should be able to stay with the private provider but be able to receive RNTCP services. 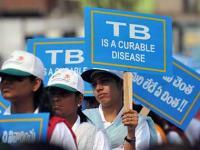 The decision was also made to introduce a daily TB treatment regimen. The new anti TB drug bedaquiline for the treatment of drug resistant TB was also to be made available initially in five states. For diagnosis the GoI set up more than 600 CB-NAAT laboratories, and enhanced their capacity with highly sensitive diagnostic services. CB-NAAT is the name given in India to Cartridge Based Nucleic Acid Amplification tests such as Genexpert and TrueNat. In 2017 it was announced that the national goal was now the elimination of TB in India by 2025. At the same time the launch took place of the next 5 year plan, the NSP 2017 - 2025.